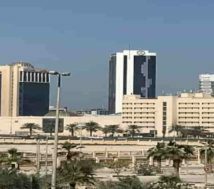 Luxury single bedroom flats and two bedroom flats for rent in Bahrain Sanabis. 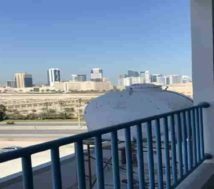 Semi furnished flats for rent in Sanabis Bahrain. 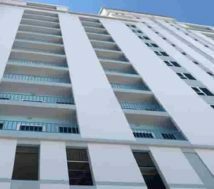 New twelve storey building. There have single bedroom flats and two bedroom flats for rent as well. Luxury flats which is indeed, good for small families and executive bachelors as well. There have total 12 floors in addition closed car park levels as well. 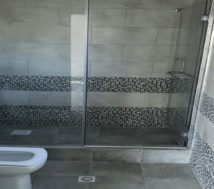 Single room flats are with open kitchen along with hall | one room and one toilet. 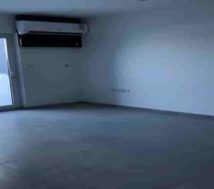 This one-room flat rent is starting from just Bahrain Dinar 250 per month and increase to 280 per month as per the level. The rent is exclusive of electricity and tax. This two room flat is with open kitchen | hall | two rooms and two toilets. The Rent is starting from BHD 300 to 350 per month exclusive. 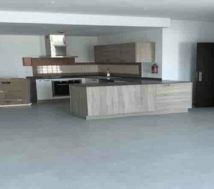 Semi furnished flats for rent in Sanabis Bahrain. This Semi furnished flats are in two types. That is to say that single bedroom flats and two bedrooms flats. Whereas all the flats has split AC | washing machine | fridge | cooker and curtains. Moreover, all the flats are with small balcony opening to the open space. In addition, all these apartments are with open kitchen and open hall as well. First two months’ rent has to pay in advance. In addition, one-month rent has to pay as deposit which is paying back at the end of the contract period. Above all, there have swimming pool | gym and covered car park for each flats and open area for guest parking as well. 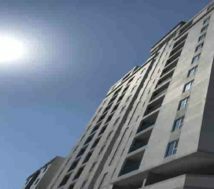 Indeed, theses apartments are in prime location and close to the Seef. 5 minutes drive to Manama and 10 minutes drive to the Saudi causeway. All major Hypermarkets and hotels are very close to this building. In conclusion, this apartments are a best option for families as well as bachelors for a better stay in Bahrain. Call now!